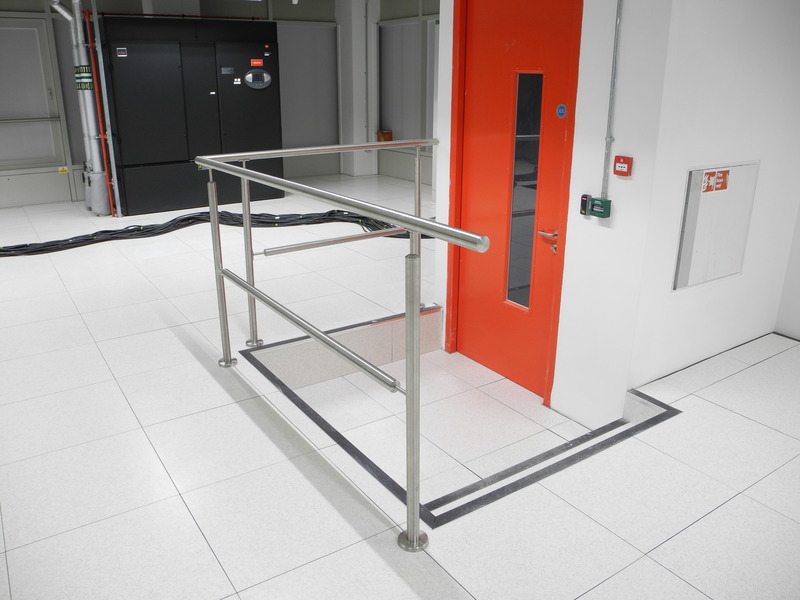 Computer and Server Rooms require raised flooring that has different properties to that of a standard office raised flooring system. 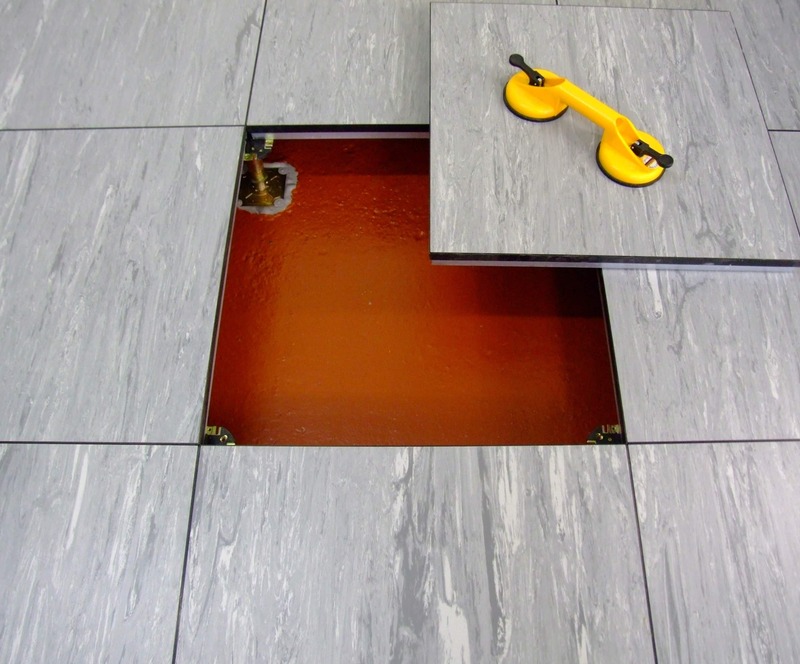 The system will be similar to a standard raised flooring system in that the panels will be 600mm x 600mm and supported on pedestals but the system will also incorporate the additional features below. 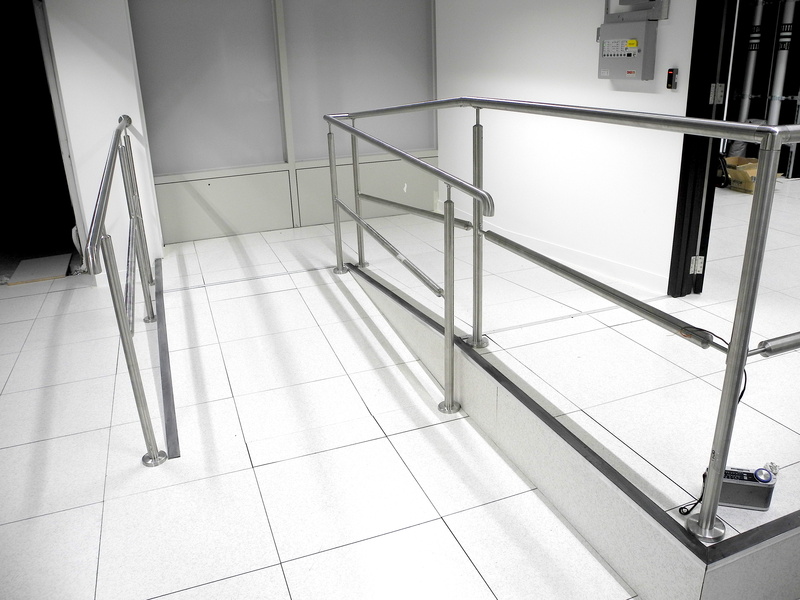 Increased finished floor system heights for additional services and temperature control normal 300mm – 800mm. 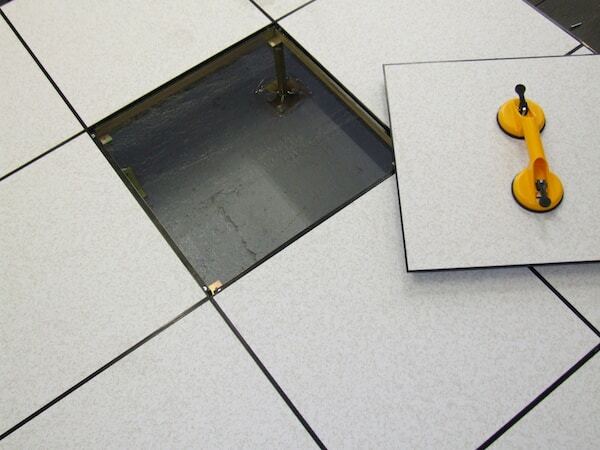 Floor panels with static control finishes factory bonded, such as Static Dissipative Vinyl or High Pressure Laminates. 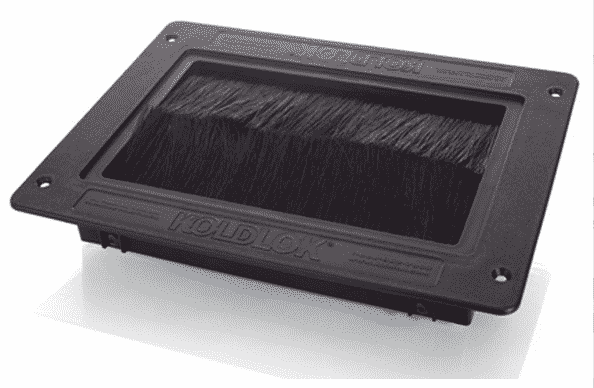 Increased weight bearing abilities, normally Heavy Grade or Extra Heavy Grade Systems. Metal components may have nickel or powder coatings in preference to zinc passivation to mitigate the risk of “zinc whiskers’. When the computer room is cooled by way of air conditioning down flow units, it is essential that he cool air reaches the hot aisles. Air leakage through the raised flor is mitigated by the use of brush seal grommets at the cable and service penetration points. Also there may be extensive use of Air Handling Units that control the climate within the facility. 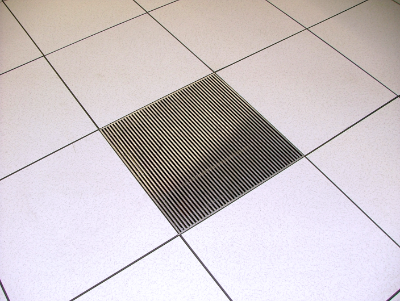 The air is normally distributed by use of the floor void as a plenum. Then circulated using full panel aluminium Airgrills as illustrated in the picture adjacent. 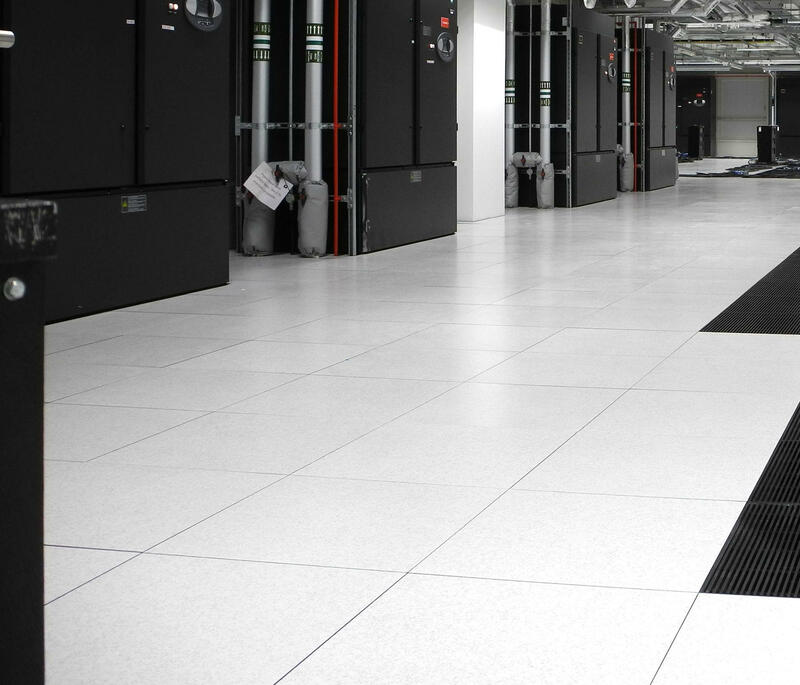 All our data room and computer room flooring can be built and tailored to your specific requirement, please contact us and we will prepare a detailed brief for your project. We specialize in computer room installations and we have many years direct experience in the flooring trade.